When it comes to glass design, there are many options. Glass has been around for so many centuries that there has been plenty of time to develop new techniques, some by accident and others through knowledge and experimentation. Some of the earliest examples of glass being used for art or design is stained glass. There are many beautiful examples of stained glass or, as it is sometimes known, leaded glass windows. Many depict religious scenes in churches but laterally they were used in Victorian times to decorate homes. More recently, stained glass has become more of a cottage industry with a small group of specialists able to design and make stained glass. We also have the option creating the illusion of stained glass via the 2 main faux stained glass techniques. To create usually larger decorative glass designs, a number of skills can be employed. Beveled glass is where a slant is cut into the glass. The glass can be etched which creates a frosted appearance on the window. A skilful craft person will turn the etches into pictures and enhance it by cutting the glass. Another stunning and stylish way of presenting by cracking it. The glass has literally been cracked and then held together by more glass and plastic film. Large sheets provide unusual features in a building. Smaller items, such as bowls or vases can also be made with this technique. 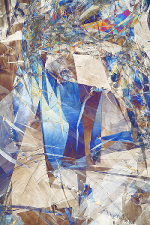 The cracked glass effect is ideal for catching the light in interesting ways. Glass is also used for smaller items such as jewelry and ornaments. Fused glass is another technique that can create many interesting and beautiful pieces. It is another example of what a skilled craft person can do. 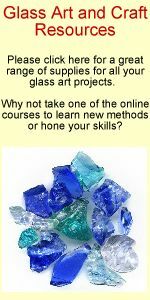 One of the difficulties with working with glass is how to cut glass without it breaking. The main technique involves scoring the glass with a special class cutting tool and then snapping it. Additional tools for larger projects are available, such as band saws or CNC machines used in large scale production. Glass is such a flexible medium and there are so many items that can be made from glass, either practically or ornamental. One such idea is the glass slipper worn by Cinderella - could such a thing really exist? Certainly, the romantic image of the glass slipper has been carried forward and it is often presented to brides or new parents as an ornament to mark the occasion. Another use for decorative glass design is for recognition of staff in the form of glass awards and trophies. Glass is often used because of the high quality, stylish results that are possible. If you are wondering about some of the things you can do with recycled glass, one of the most stunning kitchen effects is to use recycled glass countertops to creat a stylish, contemporary look and at the same time, recycle rubbish. To keep up to date with the latest information on tips and advice about creating your own artworks, why not get Mega Art magazine?